Today, I’d like to introduce you a nice, simple, minimalistic and partly infographic resume template design. This template is created in Adobe Photoshop, fully layered, format and therefore it is fully and easily editable. On this simple minimalistic resume template design, you can fill in quite lot of space for personal information, where you can start with contact details, go through awards if you achieved any in your past job place(s), competences, references and much more. Of course, if some of these sections doesn’t suit you well, you can remove them and add different and new ones. On a top of this resume design, there is a place, where you can pin your own picture. 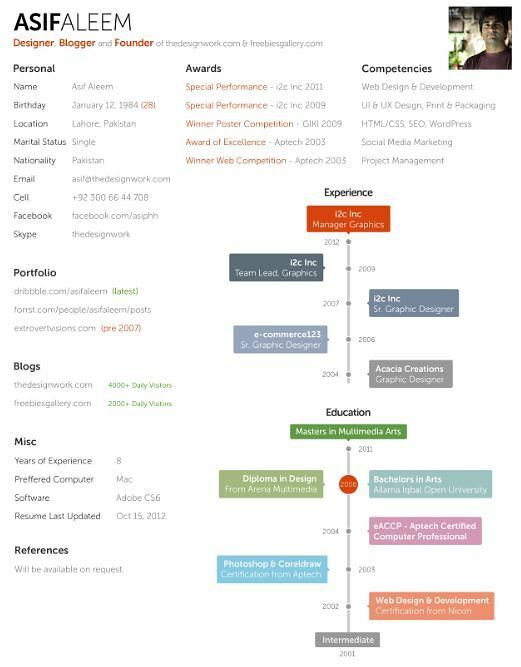 In a bottom section, which is more or less graphical/infographical part of resume, you can see and manage two different timelines. First timeline is focused on education and second on work related experience. And that is quite handy.